Award-winning broadcast journalist, Ed Gordon created the web presence Daddy’s Promise, an initiative designed to focus the attention of the African-American community on the positive relationship that can and should exist between fathers and daughters. The site will include a Gordon's blog about his thoughts on the initiative and its progress, as well as interviews with celebrities such as Ludacris, Gabrielle Union, Steve Harvey and Terence Howard. DaddysPromise.com will also feature a picture gallery of African-American fathers with their daughters. 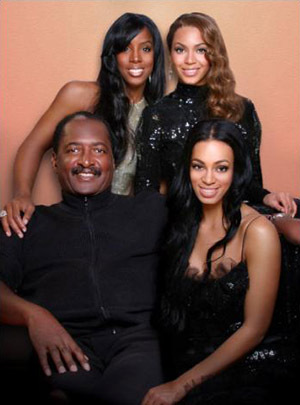 Gordon told EURWeb that Matthew Knowles (the father of Beyonce and Solange Knowles), Will Downing, and Gerald Albright have already submitted photos. Maybe I'm missing something here. What about the son's??? At the rate our African American boys are falling victim to the streets and dropping dead, there should be a focus on more than just daddy's and daughters (I think). I dunno, daddyspromise.com seems a bit one-sided to me.